Take the KLIA Express Train to Station KL Sentral, then transit to the Monorail to arrive at Station Imbi (This station is located inside Berjaya Time Square). When you arrive at Time Square, proceed to the main entrance to exit the building (where Starbucks is located), at the exit, turn left along the pathway along the building and turn left at the corner of the building. After the corner, walk about 50m and you will find a sloped road on your right. Proceed up that slope till the end and make a left turn towards a row of shoplots. Revopackers is located in less than 50m away along the shoplots. All private rooms come with one Queen bed, writing table & chair. 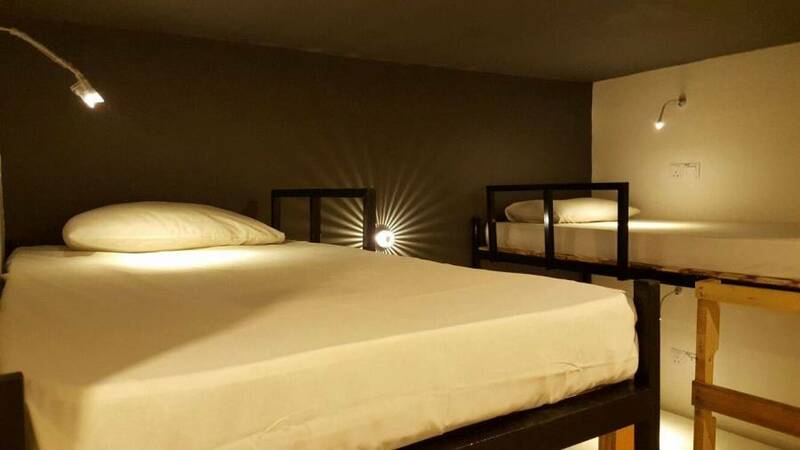 Rooms are attached with bathroom & air conditioned, Bathroom amenities & Towels are provided. 2).Standard Check-out time is at 12:00pm daily and Check-in is at 2:00pm. 4).Smoking is not allowed anywhere within the premise of Revopackers. 5).We are located on the 2nd Floor of a building that only has stairways. 6).As a safety precaution, children below the age of 12 are not recommended to stay at the premise. 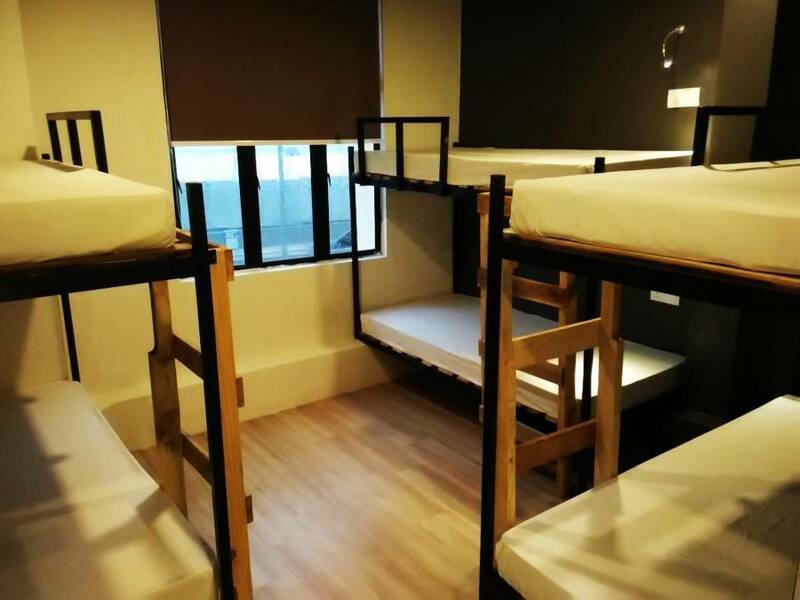 At Revopackers, we have options of sharing dorm rooms that can accommodate between 4 to 6 people and private rooms that accommodate for those who travel in duos. 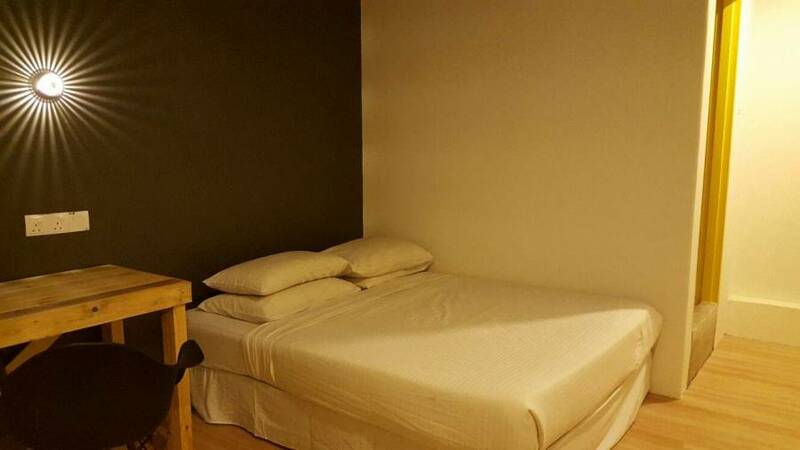 Dorm rooms are strictly sold by per headcount and private rooms can hold not more than 2 people. 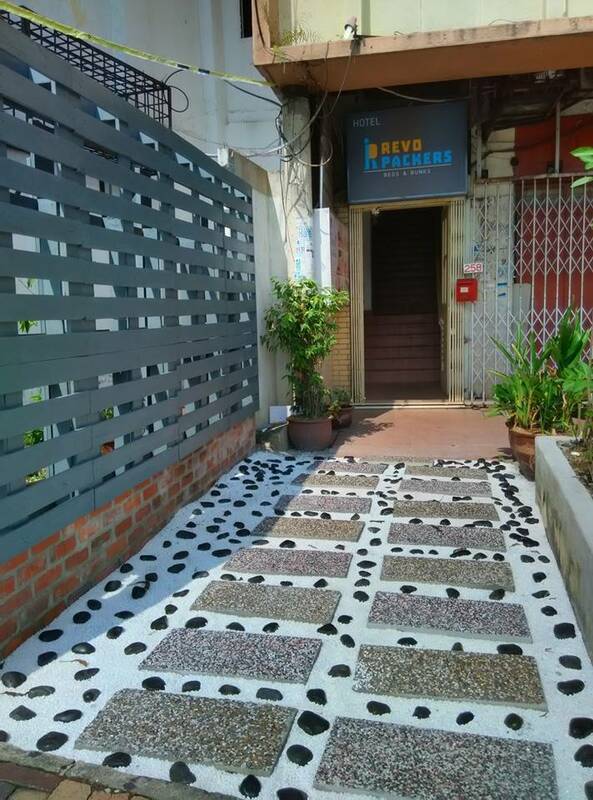 Most importantly, we have all female dorms available upon request and not forgetting one of the best parts about us, all our rooms have air conditioning and an attached bathroom for your comfort and privacy. 1). 3 days advance notice for free cancellation. 2). Standard Check-out time is at 12:00pm daily and Check-in is at 2:00pm. 3). We accept credit card and cash payment upon arrival. 4). Smoking is not allowed anywhere within the premise of Revopackers. 5). We are located on the 2nd Floor of a building that only has stairways. 6). As a safety precaution, children below the age of 12 are not recommended to stay at the premise.